Kulp Plumbing and Water Conditioning, LLC is a family owned business located in Collegeville, PA. We gladly serve Montgomery, Bucks, Chester counties and surrounding areas. We can handle all of your residential and commercial plumbing needs whether it's installing new fixtures or repairing your existing bathroom or kitchen. We are well-equipped to respond to your needs quickly and with only the highest quality products and service. We also offer 24-hour emergency service. Years of experience ensure quality and precision when it counts. Have a plumbing emergency? We are the fastest service out there to respond. We keep our trucks stockpiled so we can fix the problem on the first trip to your home in the event of an emergency. You will be pleased with our fast and professional service. I had a leak in my kitchen ceiling on Christmas Eve! Doug and his team took less than an hour to to completely resolve the situation. They were fast and professional! Contact us by clicking on the button below, or please give us a call: 610.489.0407. You can also email kulpplumbing@verizon.net. Our regular business hours are Monday through Friday 8-5. For after hours service, call 610.489.0407. Years of experience ensure quality and precision when it counts. Have a plumbing emergency? We are the fastest service out there to respond. We keep our trucks stockpiled so we can fix the problem on the first trip to your home in the event of an emergency. Weekends, nights, holidays, no problem. Call us right away because in the event of an emergency, time is money. Don't risk additional damage to your home and personal property. 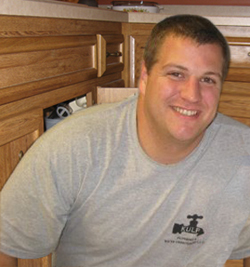 We pride ourselves in providing fast, friendly, professional plumbing service in Collegeville Pennsylvania. 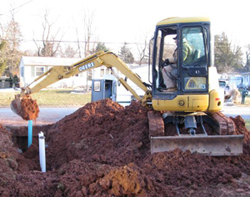 We offer the fastest water line replacement of most Pennsylvania Plumber services. Our work is guaranteed and we always use only the best plumbing vendors and manufacturers for our product. You will be pleased with our expert know-how and our attention to detail while on the job. We believe that a job well done is our most important asset.